And if ‘control’ is too strong a word, it would be in as much chaos as Libya is today. The Libyan enterprise by NATO to overthrow Gaddafi was firmly backed by Cameron who used British Special Forces to train and guide Islamist rebels in attaining this objective. After the chemical attack in Ghouta, a dubious event which was likely perpetrated by either Saudi or Turkish intelligence in order to provoke President Obama to make good on his ill-fated assertion about “red lines”, the idea was to bomb and ‘degrade’ the capabilities of the Assad government which the West and its Middle East Sunni allies were keen to blame. 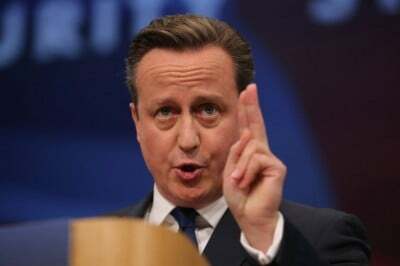 But after the tragedy of Paris, Cameron is confident that the United Kingdom’s public outrage along with the media’s whipping up of the drums of war will get him the Parliamentary rubber stamp to intervene in a conflict which according to former French foreign minister, Roland Dumas, was planned and orchestrated years in advance by British officials along with other Western powers. Cameron’s motives are far from benign. They bear the vestiges of the ‘humanitarian bomber’ with an insidious agenda. He wants to be part of a campaign which would justify a British presence in Syria which along with French involvement would be utillised in a manner that would in the future attempt to effect the desired overthrow of Assad as well as the dismantling of the Syrian state.